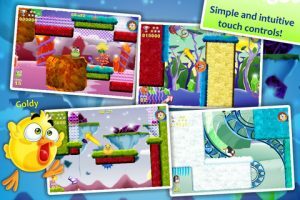 Developed by Candango Games, Pet It Out is an original, touch-based platformer for iPhone and iPad. 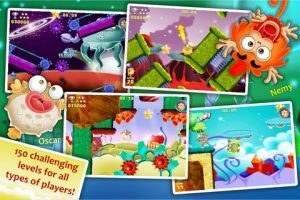 Featuring bright and colorful visuals and challenging gameplay, Pet it Out compels you to play ‘just one more time’. 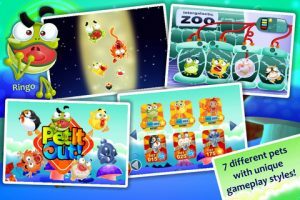 The game has 7 unique animals which have been captured in an ‘intergalactic zoo’ and it’s your job to bring them home. In Pet It Out you guide each animal through a series of obstacles and traps to get them to the portal at the end of each level. As you make your way towards the portal, you can collect stars and trophies on the way, which both increase your score and aid in unlocking later stages. 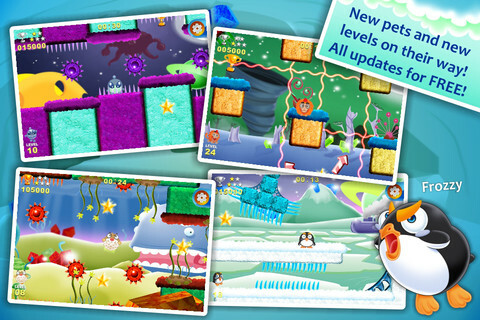 The faster you finish the level, and the fewer jumps you make, the higher the score you can get. 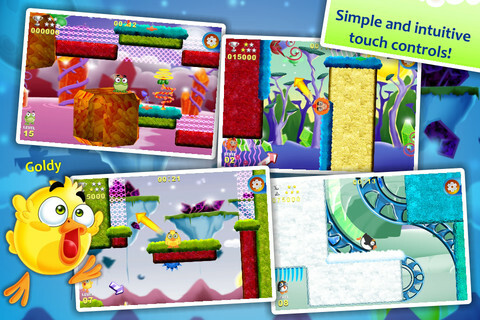 The game has an easy-to-use user interface and simple touch controls. You touch and drag your character to set the ‘power’ of your jump, then you release to jump. 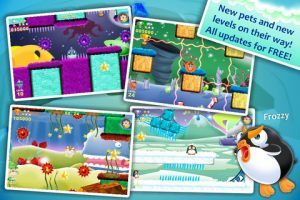 You start the game out with just one pet, but you can unlock other pets including a bird, monkey, penguin and puffer fish by successfully completing a certain number of levels. Different pets have unique abilities, such as performing extra jumps while in the air or sticking to any surface that the pet touches. The different pet abilities completely change the game dynamic and add another element and level of challenge to the gameplay. Every level also includes a number of obstacles to overcome, which include moving platforms, spikes, spinning wheels and force fields. Pet It Out has 150 levels in total, with 5 stars and a trophy to collect in each one providing a lot of potential game-time for the dedicated player. 47 GameCenter achievements and a total of 8 leaderboards round out what is already a solid arcade-style platformer. 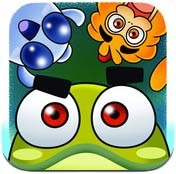 Bottom Line: Cute graphics, challenging and addictive gameplay with lots of levels – Pet It Out is a winner. 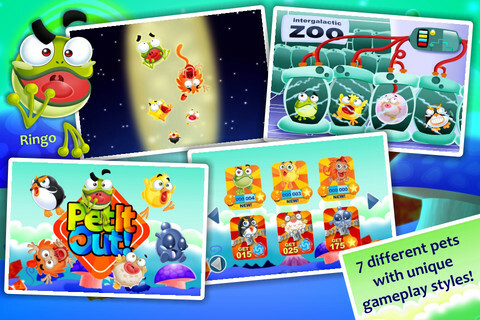 Pet It Out is compatible with iPhone, iPod touch, and iPad. Requires iOS 3.2 or later. A small fee was paid by the developer to expedite the review of this app.